Sometimes, as we travel through life, we find ourselves in a place that is special not only because of the experience it extends, but also because of the serendipity of its discovery. 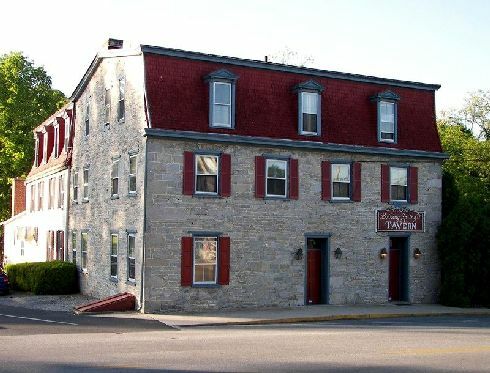 Such is the pleasure of both the town of Boiling Springs and its centerpiece, BOILING SPRINGS TAVERN. 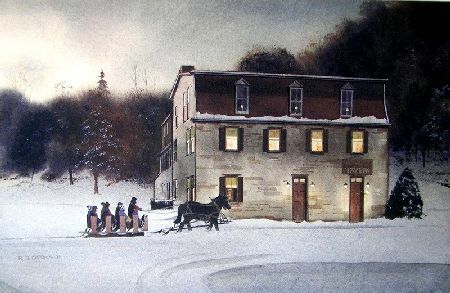 The Tavern has been the focal point of the small Pennsylvania town since 1832, when Anheuser Busch, also known as “The Barons of Beer,” opened the establishment amidst the expansion of their brewing empire. 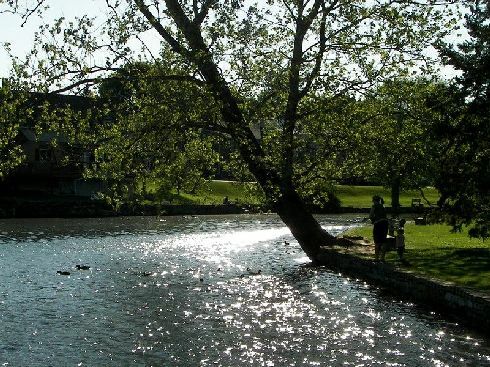 Boiling Springs offers a confluence of diverse outlooks and activities as I found out one gorgeous spring afternoon. 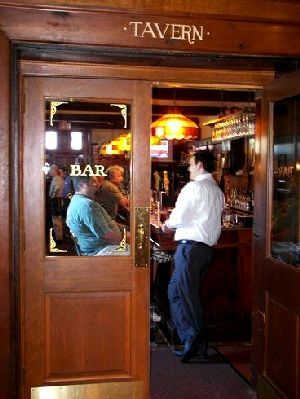 I was perched at the lovely old bar tended by Mike, a world class publican. He is a former native of Philly, but has become a go-to local historian. I was joined by a pair of hikers coming off the Appalachian Trail, a couple of fly fishermen who had been casting their luck into the famous 20 mile long Yellow Breechs Creek, and a group of locals from the surrounding village. Stirred into that mix were several parents of students from nearby Dickinson College. 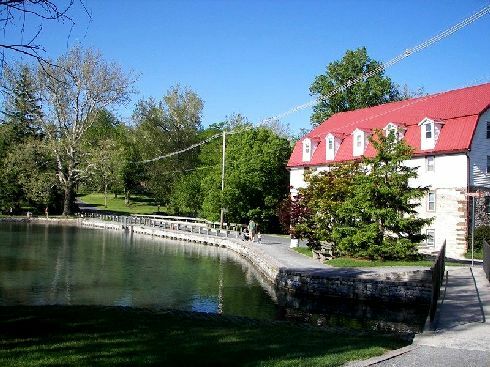 This historic institution located in Carlisle along with the famed Army War College has added an academic personality into the eclectic character of the area. A sundry assemblage to be sure, but that is the beauty of this place - folks from all over, following diverse paths, but gathering as a family, if only for the season of a single lunch. As I sipped my pint of ale I took notice of the old photographs of the Carlisle Indian Industrial School that hang throughout the tap room. Although I had been traveling to the area for several years to visit my daughters at nearby Dickinson College, I had little knowledge of this aspect of Carlisle’s legacy. Mike indulged my curiosity by providing a quick history lesson. Established in 1879 on the site of an abandoned army post, the boarding school became the model for other institutions tasked with the education of Native American children. Its founder Captain Richard H. Pratt, a former cavalry officer involved in a number of western campaigns against the Kiowa and Cheyenne, wanted a more benign solution to the “Indian problem.” He preached assimilation over annihilation, or to use his own words, “Kill the Indian, and save the Man.” In the course of almost 40 years over 12,000 students, including the legendary Olympian Jim Thorpe, attended the school. In the end, like most attempts at social engineering, it was mostly unsuccessful. 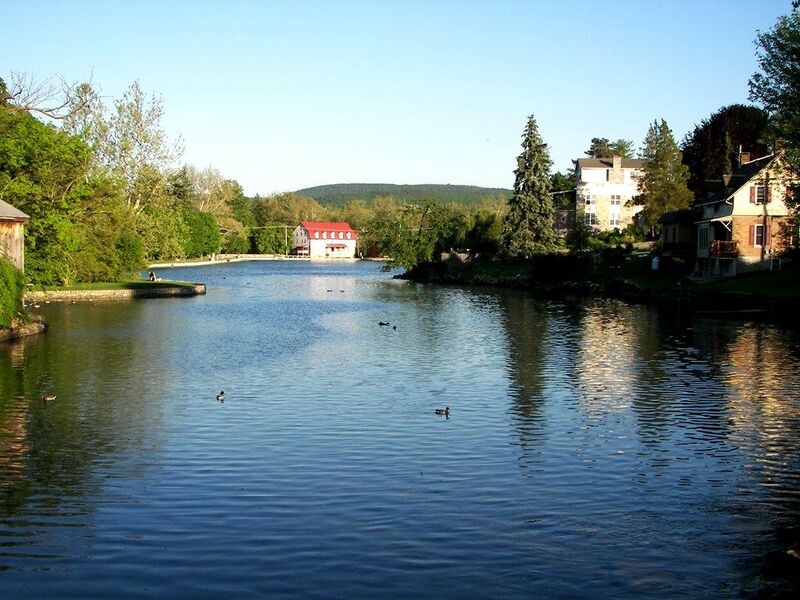 In 1918 the grounds were returned to the military. It served for a while as a hospital for returning soldiers from Europe and eventually the Army War College was established at the site. Evidently, lessons of cultural and ethnic tolerance are not readily learned. We repeated the mistakes of the Carlisle Indian Industrial School with our interment of the Japanese-Americans during World War II and they are still apparent in our present, disparate attitudes as to certain groups of immigrants versus others. Fear and resentment toward unfamiliar cultures and their expressions do not dissipate easily. 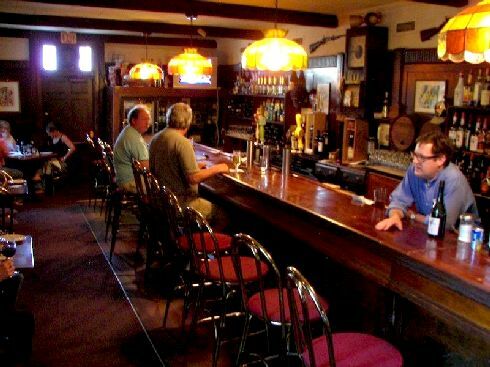 A little more time spent in convivial places like BOILING SPRINGS TAVERN could only help. I would be remiss if I did not mention the monument directly across the street from the tavern. 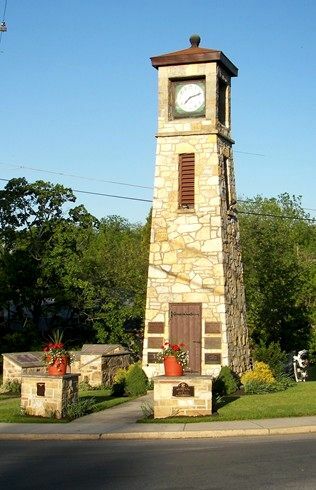 Visible from the bar stools is a beautiful body of water named Children’s Lake, and along its bank is a memorial clock tower built in 1956 as a remembrance to the veterans who have perished in service to our country. Adjacent to the clock tower, in a very distinguished stone semi-circle hangs a memorial plaque. It honors a local man, Sgt. 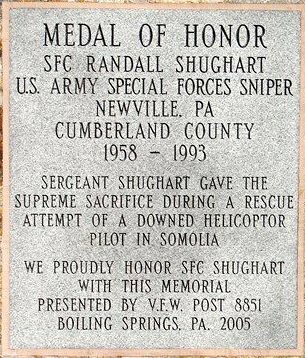 Randall Shughart, who was awarded the Medal of Honor posthumously for his extraordinary bravery as a member of Delta Force in the battle of Mogadishu, Somalia in 1993. My later research revealed that Sgt. Shughart and Master Sgt. Gary Gordon of the Special Operation Group volunteered for an extremely dangerous rescue operation. This horrific battle, and its hideous aftermath, was subsequently portrayed in the film, BLACK HAWK DOWN. Heroes, of course, can be found everywhere including small, rural towns in Central Pennsylvania. The self sacrifice and bravery of men like Sgt. Shughart is almost unfathomable. As I stood in front of his peaceful memorial, next to the clock tower, on the bank of Children’s Lake, I felt proud, grateful, and profoundly humbled. 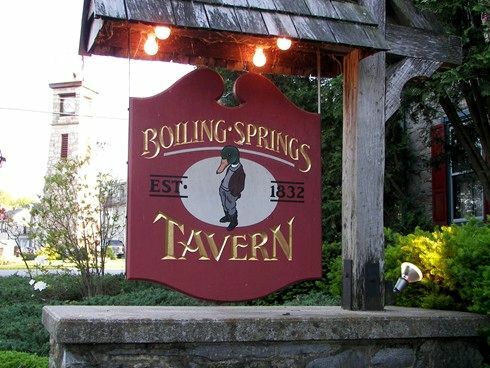 A visit to BOILING SPRINGS TAVERN offers not only a delightful pub experience, but can inspire a bit of contemplation as well . . . not to mention the fine food and drink. It provides a comfortable perch from which to watch soldiers, college students, their parents, local characters, and tourists alike celebrate their individual contributions to the recipe which combines them into a boiling pot of the unique delicacy we call America. Sometimes it takes just such a visit to remind us of what we have and what we are as a people and a nation. THE LOVELY BAR SERVES AS A FOCAL POINT FOR THE INTERACTION OF SOLDIERS, STUDENTS, PARENTS, SEEKERS OF WILDERNESS, LOCAL CHARACTERS, HISTORIANS, HEROES, AND FOLKS WHO JUST APPRECIATE GOOD FOOD, FUN, DRINK, AND CONVERSATION.